These paid Android games are now free for a limited time, grab them while you can! Also, make sure to check out the end of sale times for each game below the respective download link. At the time of writing (January 2nd), some of these titles only have a few hours left in their "freebie" period, so it's advisable to download anything that you like fast. Without further ado, let's see what's on the list! 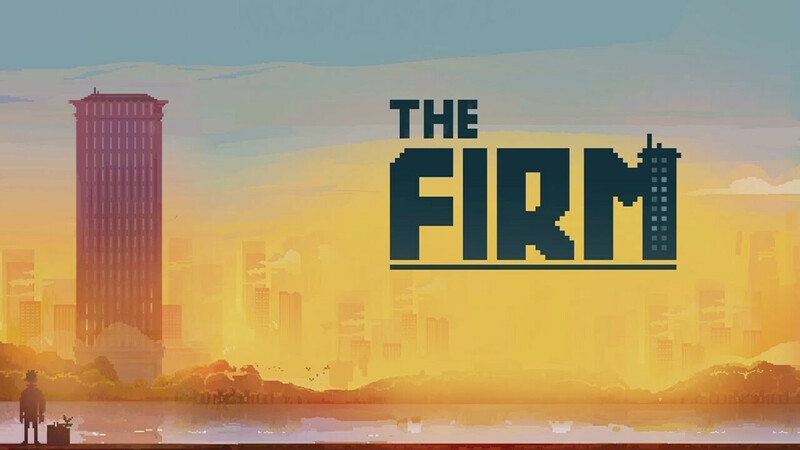 The Firm is a fast-paced arcade twitch game with an incredibly simplistic, yet addicting gameplay. In it, you take the role of a novice Wall Street trader who has to buy and sell stocks as fast as possible. This is done by swiping to the right or left on your screen. Rising green stocks must be purchased, falling green stocks must be sold. The opposite applies to the red stocks. The pile of stocks on your desk is endless and rises constantly, so you'll have to do your best to try and get everything right for as long as you can. There are also some additional gameplay mechanics as you progress. Doing successful streaks can give you a multiplier that leads to faster promotions and different power-ups. Messing up causes the stack of stocks to rise and you lose your multipliers. If the stack reaches the top of your screen, it's game over. Your character flings himself out of the window, where he dies next to an endless line of other traders ready to take his place. The Firm is a lovely game that will appeal to those who appreciate pixel art and dark humor. The simple gameplay might not be everyone's cup of tea, but we strongly advise you to give it a shot as we see it as an enjoyable title that is perfect if you're looking to play something casual over short sessions. Do you happen to be a nostalgia buff? Don't mind playing text-based games? If yes, then Finn in 1989 is definitely a title you should check out. Finn is a young boy who's lost in time. His only belongings are his backpack and a walkie-talkie that he uses to communicate with you, the player. You have to help Finn solve the mystery behind his disappearance and find his way home. This is an interactive story that plays out in real time. You'll get notifications when Finn needs your help. You can choose to respond as they come in, or play at your own convenience. Lil Big Invasion is a game that's suitable for kids and adults alike. You play as a firefly that has to rescue a bunch of smaller bugs from a dungeon. You do so by guiding them with your light through the exit. Flying around does consume energy, so you won't have that much time to fool around. There are 40 levels with various different challenges. In many stages, there are hidden areas which can help you achieve a better high score. You'll also encounter 5 different bosses throughout the game. If you're a fan of complex puzzle games that won't hold your hand while playing, then you'll love Legacy 2 - The Ancient Curse. You're an archaeologist who sets out on an adventure to find your brother whos gone missing in an ancient pyramid. During your journey, you'll encounter many riddles and puzzles that will test your problem-solving skills. Think your your way through the various chambers and discover your lost sibling. Mystery of Fortune 2 is a rather peculiar RPG title. Rather than fighting the bad guys yourself, the game does that for you. However, you are required to set up a strategy prior to the fighting, which provides for an interesting tactical element. For example, you can set your units to use a specific skill when the enemy is at close range, order them to heal themselves after their health drops below a certain percentage, and so on. This gives the game an incredible amount of depth, which is further complemented by many characters, mobs, and dungeons you can access. The physics of Boom Land remind us of Angry Birds. Much like Rovio's super popular title, here you have to destroy structures built of various materials. However, instead of hurling avian creatures to achieve this task, Boom Land offers a more realistic approach to the demolition - accurately placing bombs at different parts of the building. There are many bombs to choose from and a total of 72 levels, so Boom Land is bound to keep you entertained for a while.